Garmin GPSMAP 840xs has an average rating of 3 out of 5 based on 2 user reviews. GPSMAP 840xs is a part of the new series of fishfinders from Garmin that support down imaging as well as side imaging (Garmin branded those technologies as DownVü and SideVü). Down imaging is built-in while side imaging requires a GCV 10 module that is sold separately. 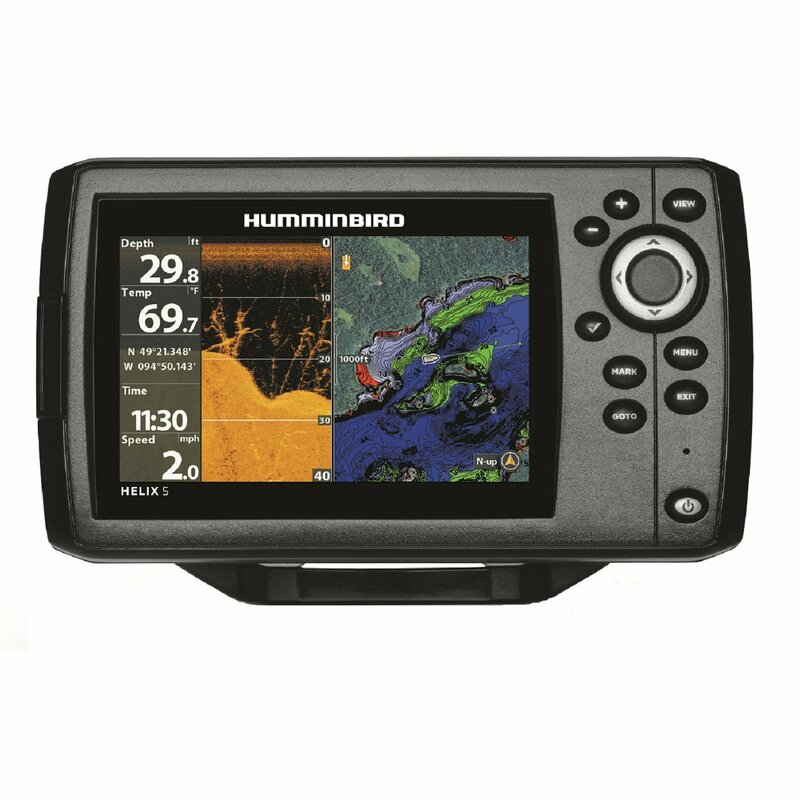 The 840xs has an 8 inch keyed display and comes preloaded with BlueChart G2 coastal maps as well U.S. LakeVü maps. There is also 8 inch 820xs that doesn’t have BlueChart and LakeVü and 10 inch display versions – 1040xs and 1020xs, with and without maps. Garmin GPSMAP 840xs comes with a 500W, dual beam 77/200 kHz, transom-mounted transducer that supports traditional broadband sonar, CHIRP and DownVü. 600W CHIRP transducers and 1000W 50/200 kHz dual frequency transducers are also supported and can be purchased separately. CHIRP will give you the most detailed, crystal clear output even at higher speeds. You can suppress sonar noise to achieve remarkable target resolution while reaching greater depth. The 840xs has a maximum depth of 1750 feet with the 500W Garmin dual frequency transducer, and a depth of 2700 feet with the 1kW Airmar B260 transducer. The included LakeVü cartography contains 17,000 U.S. lakes. The GPS refresh rate is 10 kHZ which results in virtually fluid display. The 840xs is Garmin Radar compatible. The NMEA 2000 support offered by the 840xs allows the user to connect it to other devices such as autopilot or SiriusXM Weather radar, keeping you up to date on rapidly changing conditions. While pricy at $1500, the GPSMAP 840xs includes a lot of bang for the buck. Anyone interested in the unit can expect to see it on the market in February of 2014. You can get a great deal on Garmin GPSMAP 840xs here. What I like the most about this unit is setting waypoints and tracks. You can them without having to jump through many menus and submenus like other units. The GPS and the sonar are also very accurate and quick. I’m a guide so having a solid unit is very important for me. It was a good investment.